Chauncey is more than a sought-after attorney; he’s a trusted business advisor. Chauncey’s experience with navigating U.S. capital market regulation and negotiating complex commercial transactions proves invaluable to the private equity firms and corporate businesses he counsels. Chauncey regularly advises domestic and international clients on buy- and sell-side mergers, divestitures, asset acquisitions, going-private transactions, debt and equity offerings and corporate governance. Chauncey also assists investment advisors with a range of issues, from fund formation to ongoing regulatory compliance. Given Chauncey’s firsthand experience working in the Division of Corporation Finance of the Securities and Exchange Commission (SEC), he is a trusted advisor on SEC compliance and reporting. Chauncey is in tune with the complicated needs and standards of the energy industry, counseling some of the largest utility and power companies on everything from mergers and acquisitions to compliance and corporate governance. He also assists clients in the healthcare and technology industries, where he has represented domestic and international clients in transactions exceeding $500 million. He is technical and attentive, and clients love his responsiveness and ability to instinctively understand their business. Chauncey Lane joins the 43rd Leadership Dallas class. Advised Algonquin Power & Utilities Corp. on $2.3 billion cross-border merger with NYSE-listed public utility company. Advised private equity portfolio company on $25 million carve-out asset sale transaction. Represented strategic seller in private equity-sponsored $70 million share exchange and reverse merger transaction. Represented Algonquin Power in multiple cross-border securities transactions, including $200 million senior unsecured debt offering and $150 million equity offering. Advised fund sponsor on formation of a $75 million private equity fund and related Securities Exchange Commission (SEC) compliance matters. Advised private equity fund sponsor on domestic and international fund formation and co-investment transactions. Advised wireless communications company on a $200 million cross-border offering of senior unsecured notes. Advised real estate investment company on domestic and international fund formation and co-investment transactions. Advised domestic and international clients on all aspects of compliance with SEC ongoing reporting requirements and SEC and stock exchange corporate governance requirements. Guided sponsor of long-short equity hedge fund through the formation and capital raise process by advising on all aspects of compliance with applicable securities, investment company and investment adviser regulations. Chauncey weight-trains six days per week and manages a very detailed diet to complement his fitness goals. 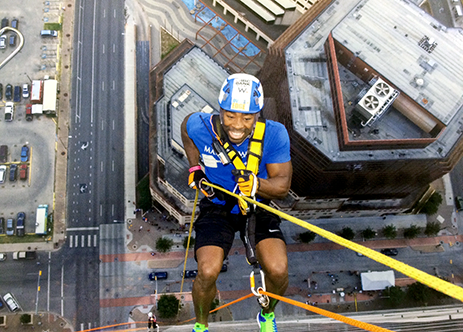 When not in the gym, Chauncey can be found jogging around Dallas or doing projects around his house. During football season, he spends time supporting the Dallas Cowboys. Chauncey is an active member of the American Bar Association (ABA). He currently serves as managing editor for the Mergers & Acquisitions, Joint Ventures and International Law sections of the ABA’s online publication Business Law Today. 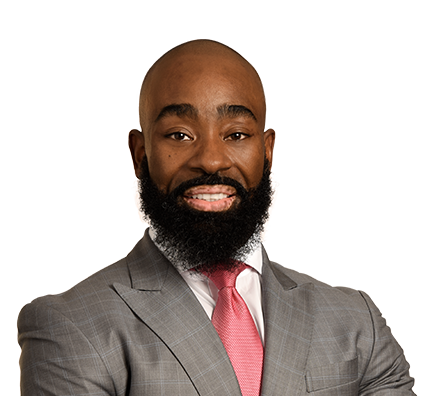 Additionally, he serves on the firm’s Diversity, Equity & Inclusion Committee, a subcommittee of the firm’s Executive Committee, and on the Dallas hiring committee. He is also a veteran of the U.S. Army.